Updated to include the Black Lives Matter movement, the presidency of Barack Obama, the rise of hate speech on the Internet, and more. 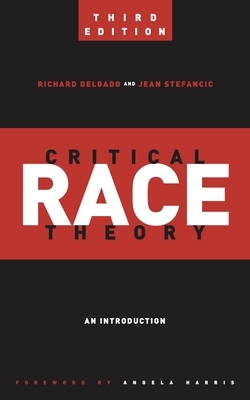 Since the publication of the first edition of Critical Race Theory in 2001, the United States has lived through two economic downturns, an outbreak of terrorism, and the onset of an epidemic of hate directed against immigrants, especially undocumented Latinos and Middle Eastern people. On a more hopeful note, the country elected and re-elected its first black president and has witnessed the impressive advance of gay rights. As a field, critical race theory has taken note of all these developments, and this primer does so as well. It not only covers a range of emerging new topics and events, it also addresses the rise of a fierce wave of criticism from right-wing websites, think tanks, and foundations, some of which insist that America is now colorblind and has little use for racial analysis and study. Critical Race Theory is essential for understanding developments in this burgeoning field, which has spread to other disciplines and countries. The new edition also covers the ways in which other societies and disciplines adapt its teachings and, for readers wanting to advance a progressive race agenda, includes new questions for discussion, aimed at outlining practical steps to achieve this objective.